Purchasing new turf can be both a big and costly decision, but once it has been laid and a few weeks have passed they’ll be impressed by the flourish of green within your garden. You will want to keep this high standard for the following months to come, to do this there are some tips we can give you to keep the new turf keep the new lawn healthy and maintain it in the following months. This may seem simple advice but the number of people that fail to use a significant amount of water on newly laid turf is astonishing. Once the turf has been placed you need to water very well, the first time is so important. The grass and underneath ground needs to absorb, and watering thoroughly will soak throughout the ground so the soil below is drenched. The turf will be also be required to have a consistent amount of water through the first phases of it being laid, ideally, you will be watering it daily for the first two weeks. However, this is very dependent on the season to decide to lay, throughout summer you may be watering it daily for the first month. Although through autumn, it may not be necessary to do it daily. It should be moist for the first month so regularly check if it’s moist on the underneath. Until the roots have rooted walking on the grass should be restrained from doing, you will be able to know when this has happened when you are unable to lift up a corner of the turf easily. Give it a few weeks also until you mow the new turf and when doing so make sure that the mower is on one of the highest cutting grades possible, this will ensure the grass isn’t cut too short giving it the best chance to grow in the future. To maintain your lawn to the best quality fertilising will enable your lawn to keep healthy throughout the year. You can purchase fertilising spreaders that do the job for you, and using them in spring and autumn is the optimal time. These are just some of the maintenance and care techniques you can provide your lawn, however, if you are in the position of still needing to purchase the turf or soil then you can call us and we can provide specific tips depending on the type. Our numbers are 01773760294 or 07583502427, alternatively, you can fill out our contact form. Spot signs of worm casts on your lawn and this can be worrying and a bit of a nuisance, so you’ll want to find ways of getting rid of this problem as soon as possible. Whilst these casts can be annoying, take heart knowing you have control of the situation, and you can deal with it by taking this advice. What exactly are worm casts? There are many different types of earthworms and certain species eject samples of soil from their guts onto the surface of the lawn, leaving small muddy mounds behind which are known as worm casts. Basically, the worms eat dead plant material and inadvertently swallow small quantities of soil at the same time, and this has be to be expelled somewhere. Whilst a number of earthworms get rid of this soil below ground, species such as Allolobophora use a different method and prefer to deposit the waste above ground. Whilst worms are good for the earth and actually help to aerate the soil, the small muddy deposits left behind on the surface of the turf can have a detrimental impact. Left as it is, and not only does it look unsightly, it becomes slimy, and can sometimes be spread across the lawn by people walking over them or running over them with a lawnmower. Can you get rid of worm casts? Yes, you can, there are non-chemical measures you can take to get rid of worm casts. Where possible, be patient and leave the worm castings to dry, after which you can disperse them using the back of a wire rake, moving it gently from side to side. Need turf supplies? Contact us! We suggest you maintain your lawn throughout the year to keep it in perfect condition. If you find that your lawn has been affected by problems such as casting worms, just follow the right procedures to restore the look of the lawn. Here at Greendale Turf, we specialise in turf supplies, and if you want to order any of our products you can do so by contacting us today using our online form or call us on 07791 525480 or 07583 502427. Your lawn requires different types of treatment over the course of a year to keep it looking healthy and happy. Lawn aeration is one of these treatments, and it has a number of benefits. This process is usually completed towards the later stages of the year when the growing season is finished, and you have time on your hands. Ideally, this procedure needs to be completed at least once a year if you wish to maintain a healthy lawn. Aerating a lawn involves the use of a garden fork or a specialist machine known as an aerator to spike holes into the turf to allow air to reach the soil. This relieves the effects of compaction within the soil and makes it less dense, helping it to breathe. It also allows rain and nutrients to penetrate into the soil whilst improving drainage on the surface area. On light clay soils and sandy soils, solid spiked aerators are commonly used to aerate the lawn, whereas heavier clay soils require the use of a hollow-tine aerator, which removes ‘cores’ of earth from the lawn and deposits them back onto the lawn. How does it benefit the lawn? This is just a small selection of the advantages of lawn aeration. If you want to keep your turf in perfect condition, consider doing this along with other types of lawn treatments such as scarifying or over-seeding. 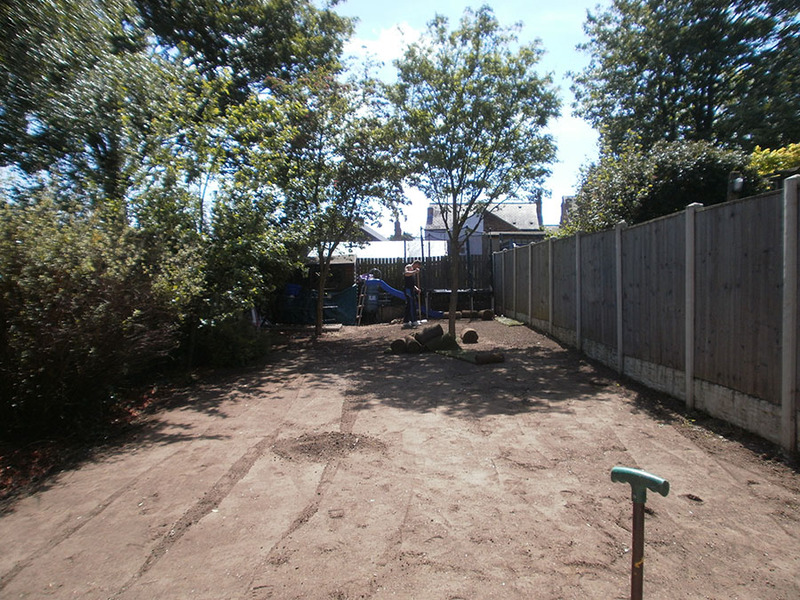 As specialist turf suppliers, we have the ideal types of turf for any landscaping your might be considering here at Greendale, so don’t hesitate to contact us for more details and call us today on 07583 502427. An excess build-up of thatch on a lawn doesn’t just look unsightly, it can also damage the grass underneath and suffocate perfectly healthy turf. Lawn scarification is a good solution for this. You can perform this function as part of your regular turf maintenance and keep your lawn in the best possible shape throughout the year. Understandably, some people are scared when they hear the term scarification and think it’s going to damage their lawn. There’s nothing to be worried about though. Do this and you improve the quality of your lawn and make it green and lush. What is lawn scarification and why does it need to be done? Lawn scarifying removes excess thatch from the surface of a lawn by means of a specialist device. You can do this manually using a grass rake which can be hard work, or use a mechanical scarifier which you push in front of you. 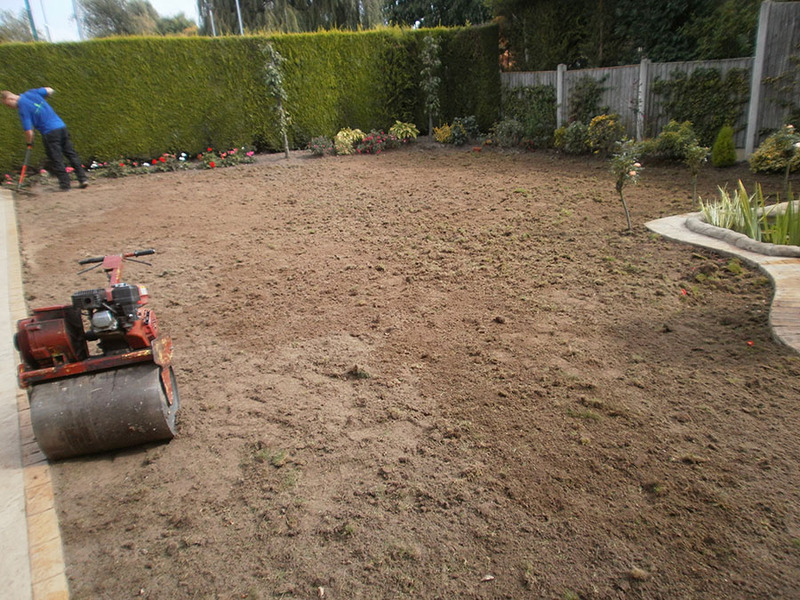 For larger gardens, a ride-on scarifier is a good suggestion which covers large areas in short spaces of time. This type of work is essential for removing excess thatch which can often ruin a perfectly good lawn by starving it of the nutrients it needs. During the scarification process, unwanted thatch is removed from the surface of turf to improve the function of the grass roots. What happens during lawn scarification? Mechanical scarifiers have adjustable steel blades that rotate as they move across the lawn. The blades are designed to cut away at thatch and remove it from the grass leaving the roots underneath unharmed. 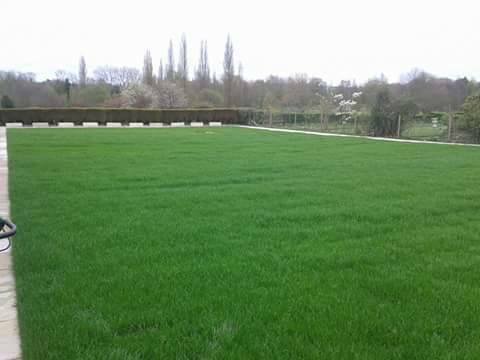 Specialist scarifiers can also aerate the soil underneath to improve the quality of the turf. 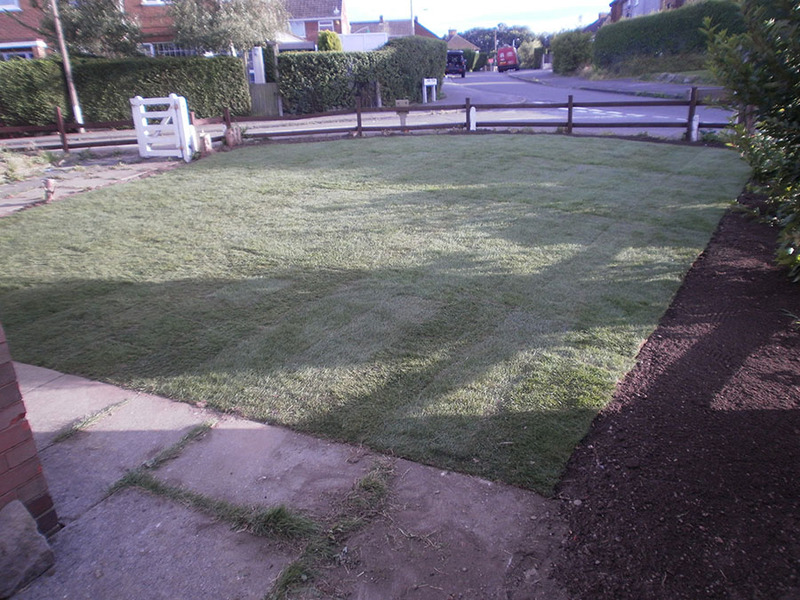 As the thatch is removed, it exposes the grass to the natural light, water and environmental conditions it needs to thrive, and after a few weeks, you’ll notice a significant improvement in the quality of your lawn. You’ll know when you need to scarify a lawn as the turf will feel spongy and you’ll see visible signs of thatch on the lawn. The ideal time to do this type of work is at the end of August until October when the soil is still warm enough to recover. Light scarification can take place in the spring but avoid completing this over the winter as you will cause more damage than good. You can complete further treatments at the same time as scarifying to help the grass to recover, including aerating the soil and over-seeding if there are sparse patches of turf. Scarifying is a great way to maintain a healthy lawn. If you need turf supplies at any time, contact us here at Greendale using our online form or call us for advice on 07791 525480 or 07583 502427. It’s plainly obvious we rate turf really highly here at Greendale Turf Supplies and know that a healthy lawn makes your garden look gorgeous. Did you know you can totally ruin the look of turf though, by breaking a few guidelines? Here we explain the very worst things you can do to your turf. Fail to mow your lawn regularly and you allow the grass to grow too long which blocks the sun and prevents shorter grass from growing underneath. Tall grass is hard to mow, you will try to cut it as short as possible and this could result in the lawn looking scalped, creating bald patches here and there. Keep everything tidy by mowing the lawn once a week at least during the summer to maintain a healthy lawn. Understanding the type of turf you have will help if you need to order grass seeds in the future. Depending on where you live, you might have a specific type of grass, so it’s worthwhile establishing the type of lawn grass you have so you can maintain it correctly in the future. When you are buying grass seed for your lawn don’t be tempted into buying budget brands with a view to saving money. Cheaper types of grass seed are cheap for a reason, always invest in good quality seeds and this way, you give your lawn the greatest chance of success. After you have mowed the lawn don’t think you have to remove all of the unwanted grass clippings straight away. Clippings start to decompose and as they do this they can provide the turf with natural nutrients. This is why a number of professional gardeners use a mulching mower when they cut the lawn which chops grass finely as it mows and distributes the waste evenly across the lawn. Although you might think it’s a great idea to water your lawn at every given opportunity this could cause serious damage to your turf. Too much water can leave the turf soggy and make it vulnerable to fungus and other types of disease. 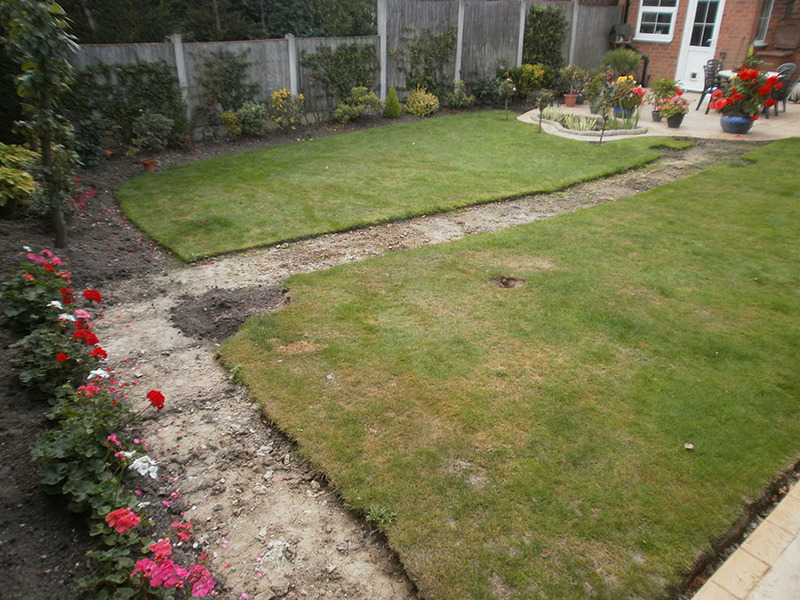 Here at Greendale Turf Supplies, we want you to have a perfect lawn and can help you to achieve this. 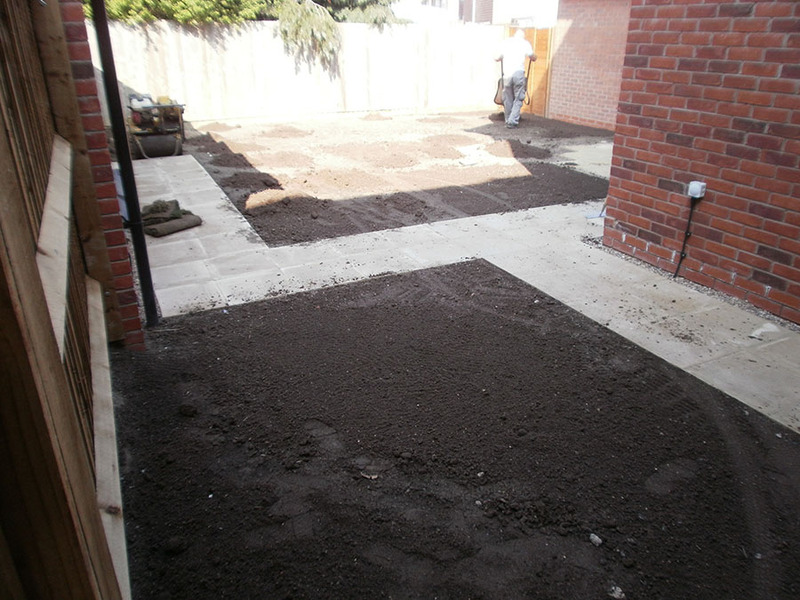 We have turf to suit all requirements, simply contact us through our online form or call us today on 07791 525480. At Greendale Turf Supplies, we’re passionate about turf and think it’s a wonderful way to achieve the garden of your dreams. It’s not often talked about, and many people assume turf is boring, but that couldn’t be further from the truth. There are a number of interesting facts about turf that’ll completely transform how you see humble grass. How much?! Just 1 square metre of turf will contain anywhere between 150,000 and 200,000 blades of grass. An important source of oxygen After trees and algae, grass is the most important source of oxygen in the world, and an acre of turf will produce more oxygen than an acre of rainforest. Breathe in some fresh air A 50ft X 50ft area of turf is sufficient to keep on providing enough oxygen for a family of four, and an acre of turf produces enough oxygen for 64 people every day. The grass is green(er)! Hundreds of pounds of fossil fuel air pollutants are absorbed by every acre of turf, helping to offset our carbon footprint and make the planet just that little bit greener. Additionally, the net carbon intake of a well cared for lawn is between 5 and 7 times greater than the carbon output as a result from mowing it. A source of clean water The root mass and microbes of turf help it to purify water by capturing and breaking down pollutants and filtering it all out of the water. This massive root network also prevents soil erosion and absorbs noise pollution. Forget about the air conditioning Turf is brilliant at having a cooling effect especially on a hot day- turf is generally 10-14 degrees cooler than tarmac and other hot surfaces in hot weather. Perfect for picnics and lazy days in the sun! The team at Greendale Turf Supplies are on hand to help you achieve the lawn of your dreams. With turf to suit every budget and high-quality top soil, you’ll soon have a lush, green lawn. Simply give us a call on 07791 525480 or fill in our online form.